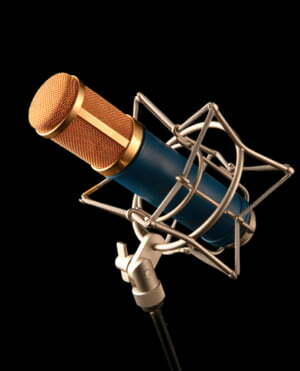 The U 89 is a studio microphone for universal applications. The headgrille protects a dual-diaphragm capsule. A rotary switch below the headgrille selects from five different polar patterns. Therefore the microphone can be adapted easily to large-surfaced or wide sound sources, or to sound sources to be recorded at a greater distance. The maximum sound pressure level of 134 dB can be increased to 140 dB with a rotary switch. Another rotary switch is provided for lowering the transmission distance below the selectable frequencies 80 Hz or 160 Hz. In addition to the usual directional polar patterns: omnidirectional, cardioid, and figure-8, we have added a hypercardioid and wide-angle cardioid characteristic. When compared to the standard cardioid pattern, the hypercardioid characteristic suppresses sound from the side more efficiently. The wide-angle polar pattern is especially useful when recording large sound sources. This studio microphone perhaps requires a bit of knowledge, experiment and care for optimum usage; it may therefore deserve a bit more verbose review herewith. Whichever task given, it proves one of the most versatile and useful microphones ever built, IMO. There are not many high-end models requiring only plain fantom power, yet featuring five perfectly set polar patterns, 6dB padding, two-step proximity effect roll-of, superb sonic resolution, warmth, clarity, sensitivity, frequency and dynamic ranges, longevity, ease of maintenance, combination of traditional discrete technology and modern full-range sound all-in-one. I've used it in recording any sound source one can imagine; instruments somehow "like" it. Voices sound true and open. Classical guitar sounds alive. So does the trumpet. Complex, demanding sources such as grand pianos, orchestras, orchestral sections and drum kits get captured with great detail and separation - sounding three dimension like. Works great with large sources (such as pipe organs), which sound clean, also with distant sources. There may be certain "boutique microphones" which could perform in some of these tasks in a more engaging way, but not in each of them. 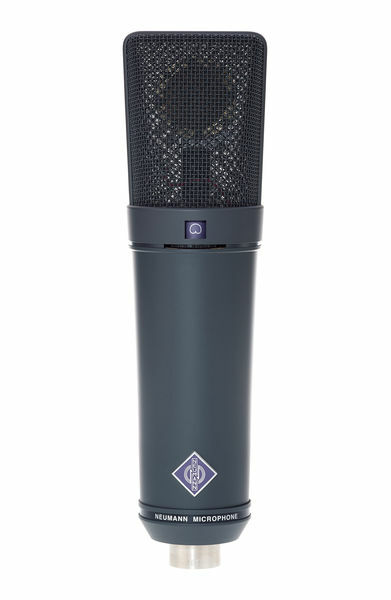 It is built around the robust K89 capsule, with diaphragms at ground voltage, being less susceptible to microscopic dust particles than most condenser mics, and therefore less costly to maintain if treated with care. But the most important to me is that U89i provides a signal of very high quality and accuracy, which takes "down-stream" processing (EQ-ing, etc.) exceptionally well. This outstanding audio quality at the core of its signal is what makes the difference and justifies the price tag. Although its popularity seems underrated in the popular music world (it gives pop-singing less "hype" than a U87Ai, but IMO also sounds more engaging, gratifying and midrange-honest than a modern C414): it's a classical standard, capturing sounds and music the way it should, even in less-than-optimal acoustic environments. Some "tech-influencers" nevertheless dare to write that it encourages sloppy recording work, which I strongly disagree. I've worked with U89s in studios for years before deciding to buy one for permanent use in my mobile/home studios, as a "workhorse", or a stand-by microphone or a so-called "desert island" microphone. It took me a while to afford one, but I find it worth the investment. The same applies to both U89i and U89i mt. ID: 195558 © 1996–2019 Thomann GmbH Thomann loves you, because you rock!